Ever since I moved to Camden from Maida Vale, I have spent less and less time in West London. Nevertheless, I still love the Notting Hill area, with its beautiful houses, bustling high street, and memories of a soppy 90s film, so I was glad to return. And what better excuse than to try a new restaurant? 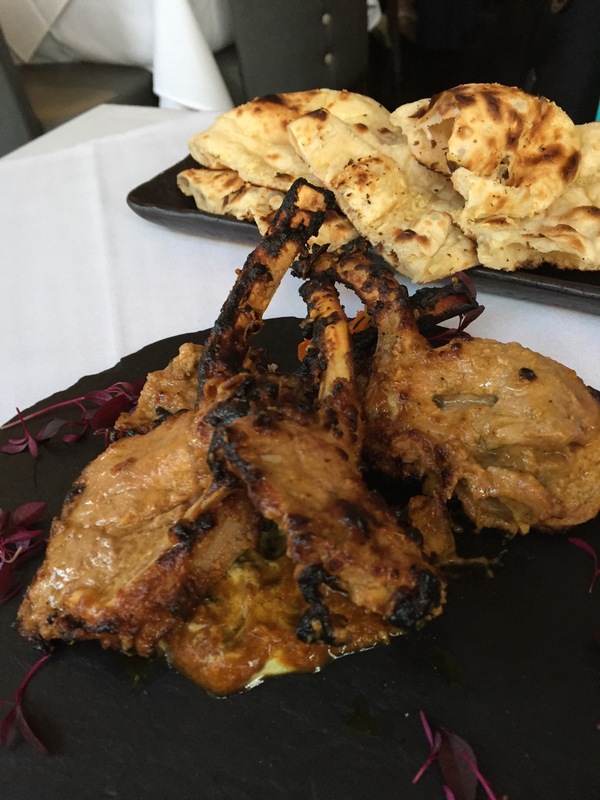 Chakra on Holland Street is a recently relocated fine dining Indian restaurant, and its tiny interior boasts some impressive flavours. Situated on a quiet corner, off the bustling high street, the colours inside are muted, with the bar taking up around a third of the small space inside. 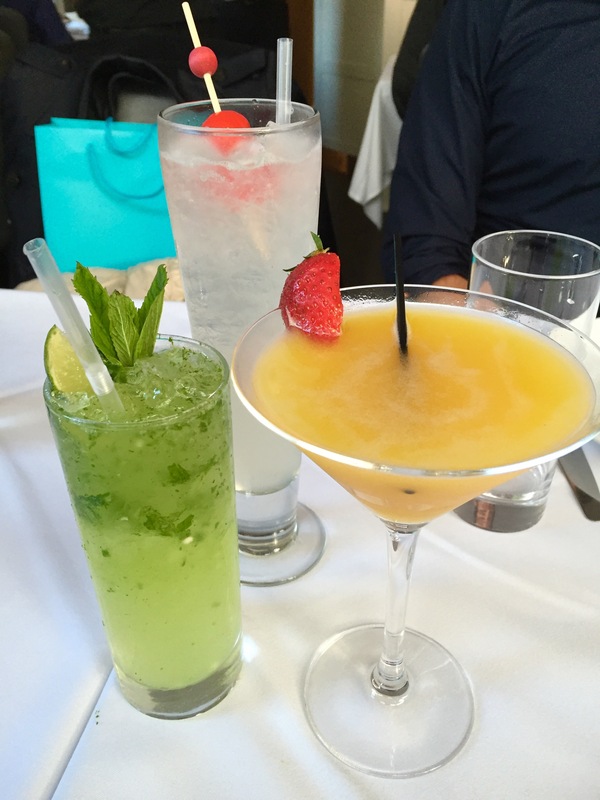 We were taken aback immediately by the superior cocktails, particularly the Chakra Spice, which was tongue-numbingly spicy. My mango martini was also superb, and disappeared all too quickly… luckily their wine list is very impressive, and so we enjoyed a wonderful bottle of 2011 Riesling to go with our food. 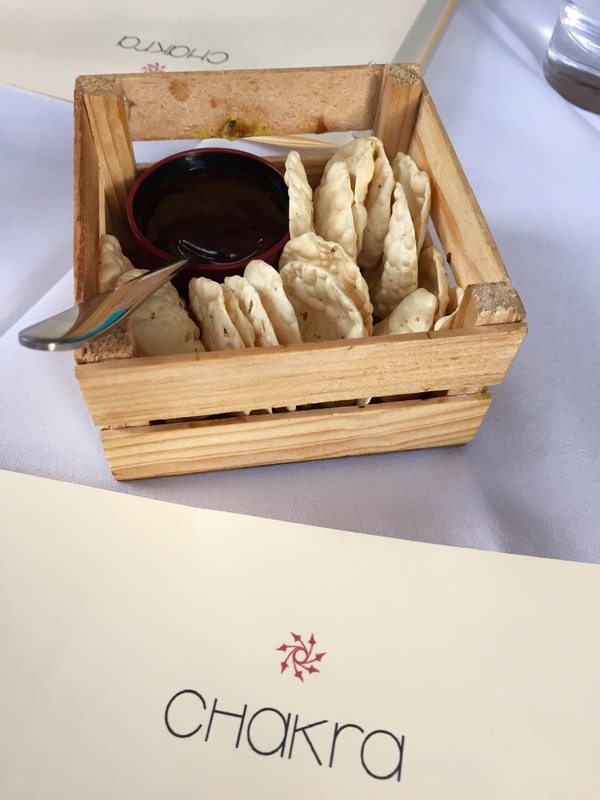 If you visit Chakra, I would definitely recommend taking at least two, if not more, dining companions, as you’ll want to split and share as many menu items as possible. We hummed and hawed for a very long time before making our decision, but were triumphant in the end that we had chosen just the right amount of food, and left without feeling stuffed. 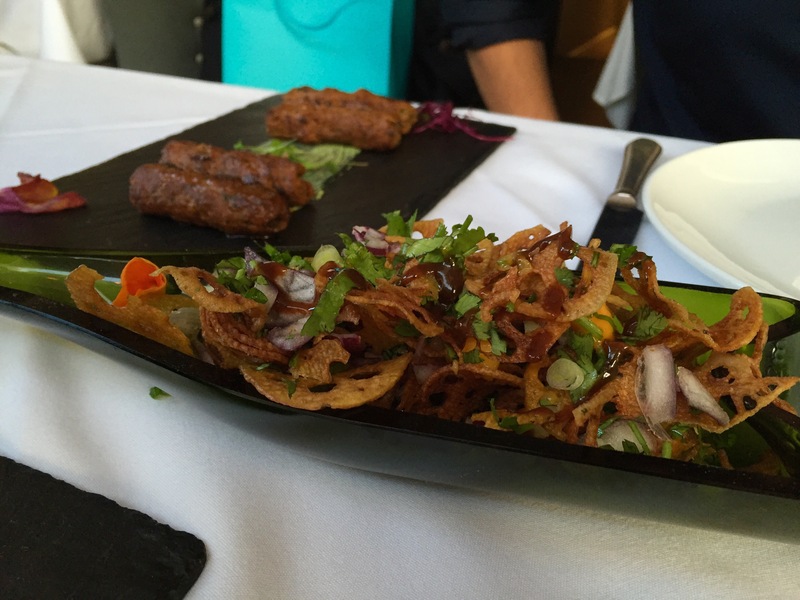 We started off with the crispy lotus root, clay oven paneer, and grilled lamb seekh kebab. 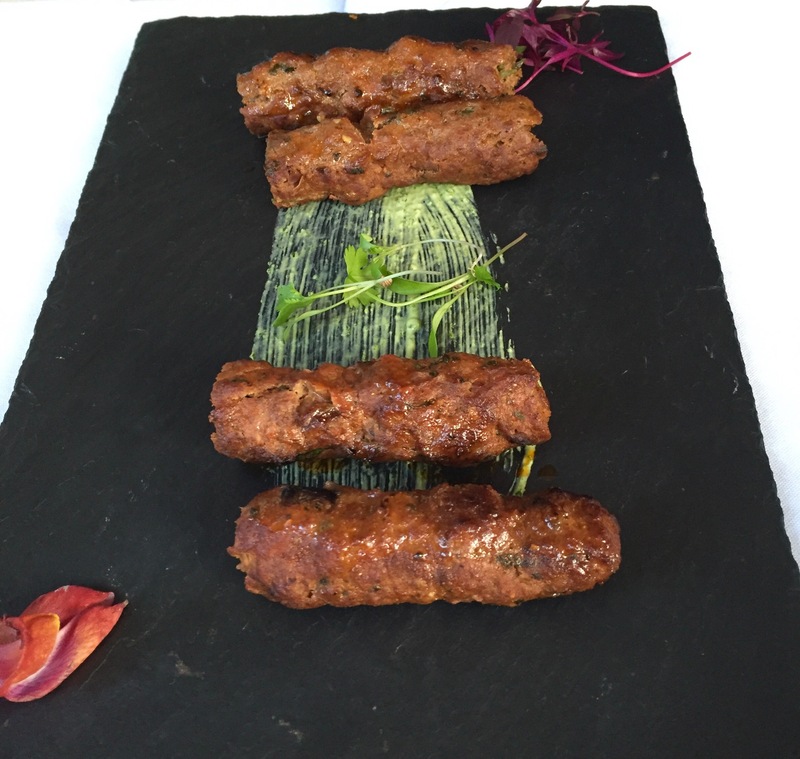 The kebabs were incredible, tasting just like home, and the level of spice was definitely Indian as well. 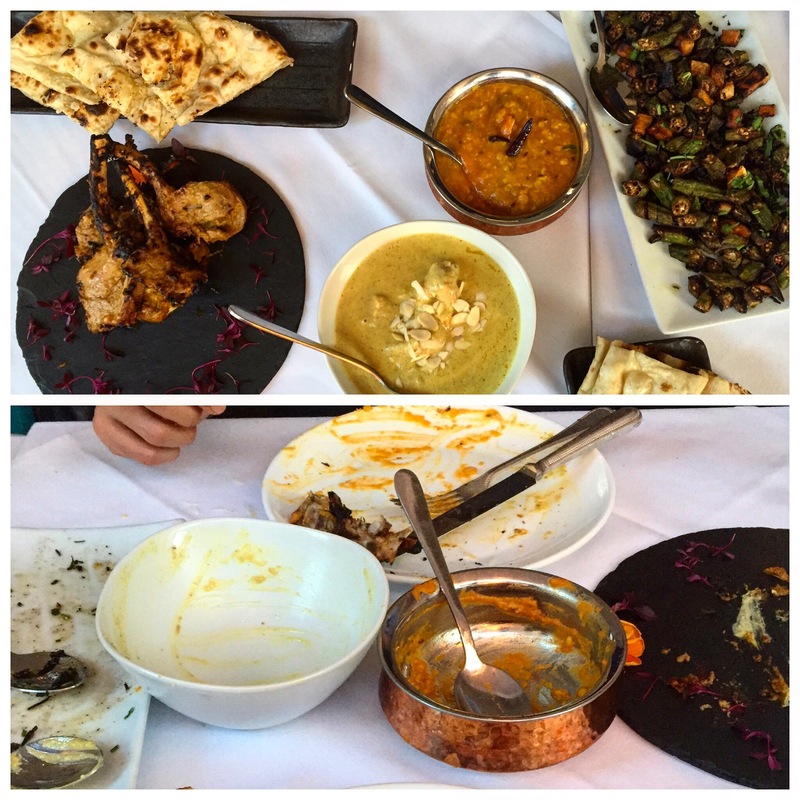 We wished there had been more chutney, rather than the insufficient yet artistic dab across the slate, but could find absolutely no fault in the meat. 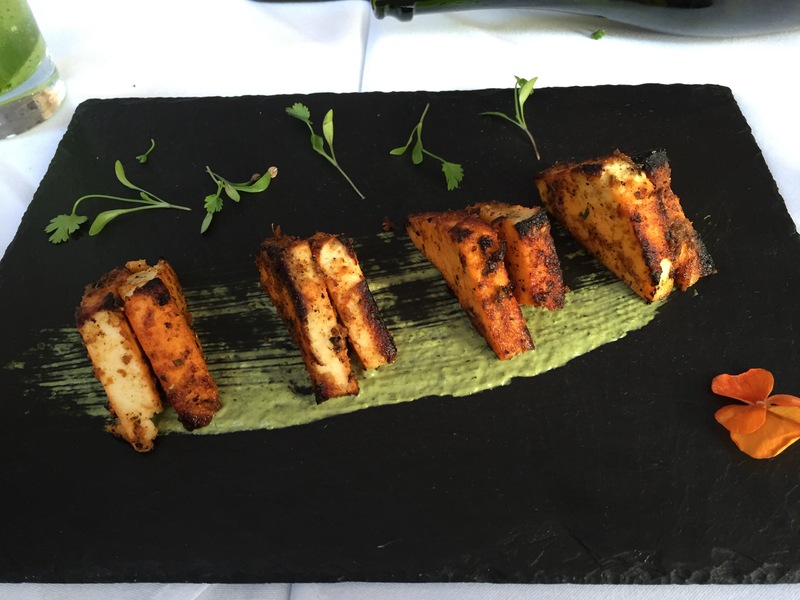 The clay oven paneer with mint and basil chutney really hit the spot. Soft and smokey, with spices shining through, this was my favourite starter, although again, I wish there had been more chutney! The crispy lotus root, spring onion, tamarind pearls and cress was a tasty and light dish, and a fabulous contrast to the other two starters. Served on a flattened half-bottle of wine as opposed to the Cornish slate, we struggled a little to serve ourselves but figured it out eventually. I loved the crispiness of the root and it was beautifully complemented with the various fresh herbs on the ‘plate’. Unfortunately, service was a little slow from the start, and this is something that continued throughout the evening. We hugely enjoyed our food, but the entire evening was over three hours long, which was pretty tiring for a weeknight dinner! This was offset by the quality of the food, but I’ll be sure to visit at the weekend next time. 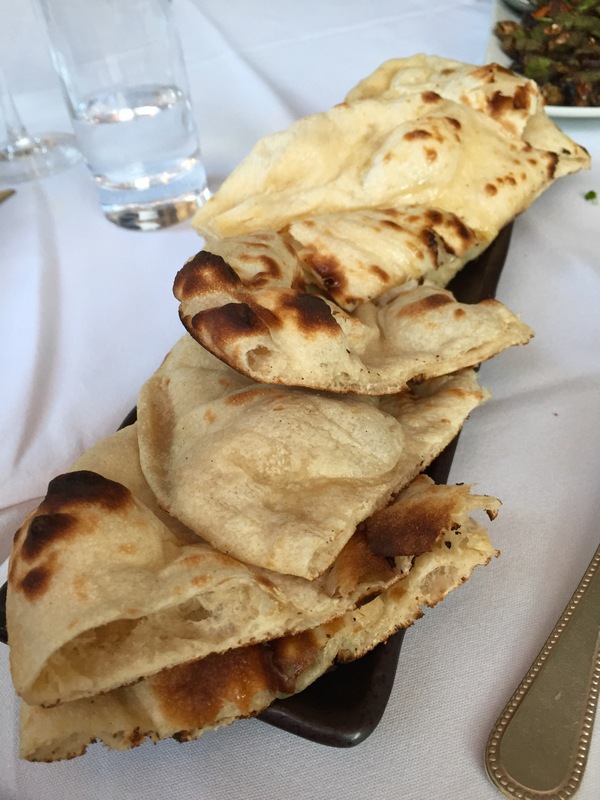 With our mains, we had to have the assortment of naan (plain, butter, and garlic, if you please), and each piece was oh so soft, warm, and comforting. Every single main was indisputably incredible, starting with the gorgeous lamb chops, which boasted a rather more subtle flavour than the usual char-grilled, with stunningly tender meat. They were beautifully assembled, but unfortunately toppled over just before I took this picture! 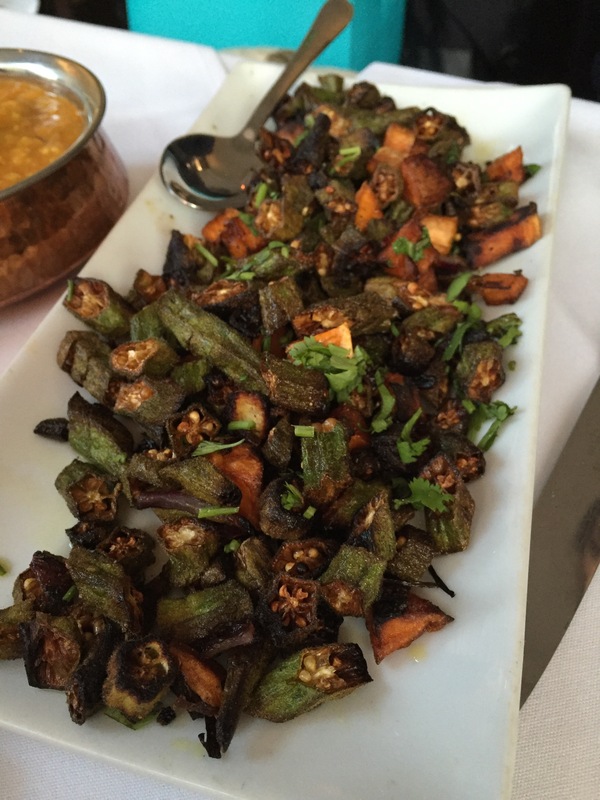 The okra (bhindi) was super crispy, which is my favourite way of eating this beautiful vegetable (probably because all the nutrients get fried out of it?). There were a few bits of sweet potato hidden inside, which was unusual, but somehow just seemed to work. 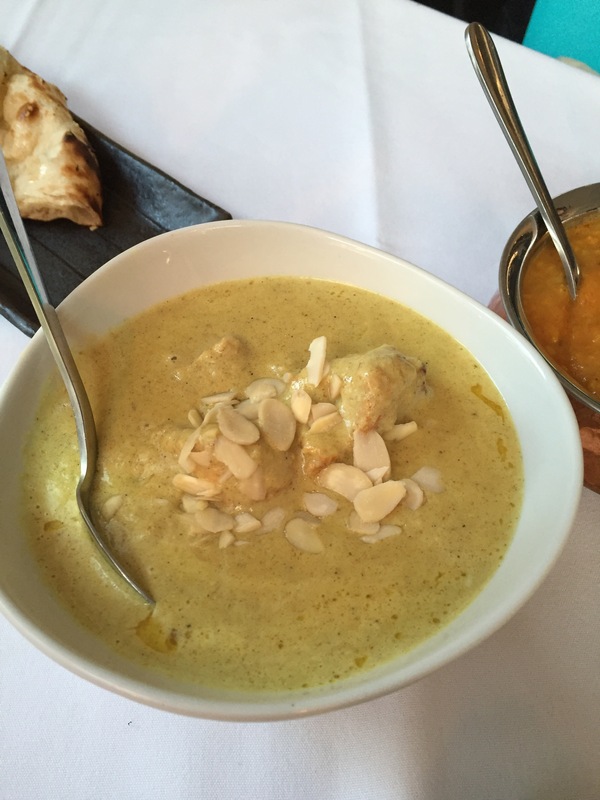 The chicken korma was silky smooth, with gorgeous nutty flavours and incredibly tender chicken. By far the best I’ve ever tasted (though I have to admit I don’t order it that often!). 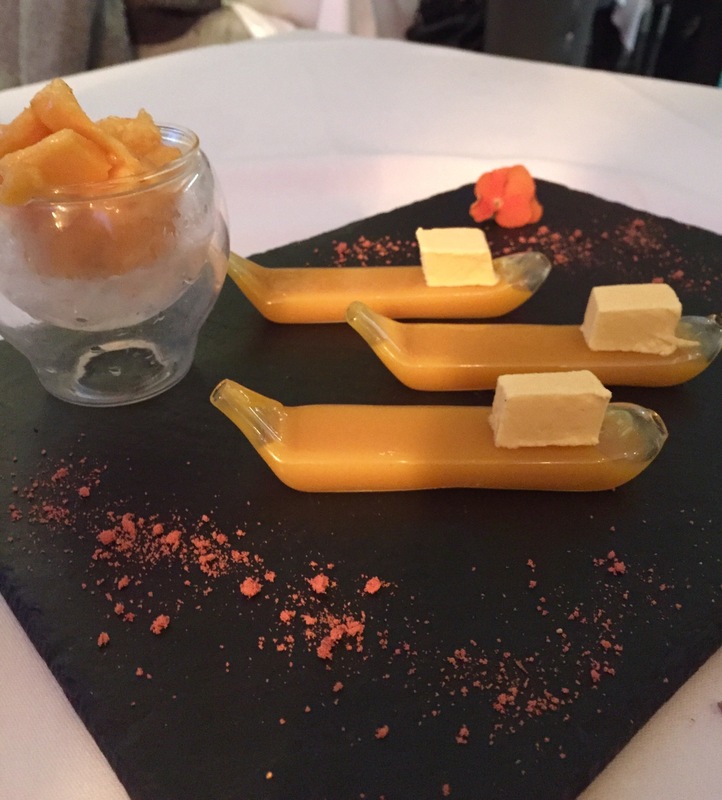 The Mango Kulfi, Fresh Mango, Mango Sauce dessert was made with proper Alphonso mangoes, as the season has now begun. This was very exciting for us all, as I firmly believe that a non-Alphonso mango should never dare to describe itself as such. I loved the presentation of the dish, with laboratory-style contraptions from which we sucked out all the Alphonso goodness! 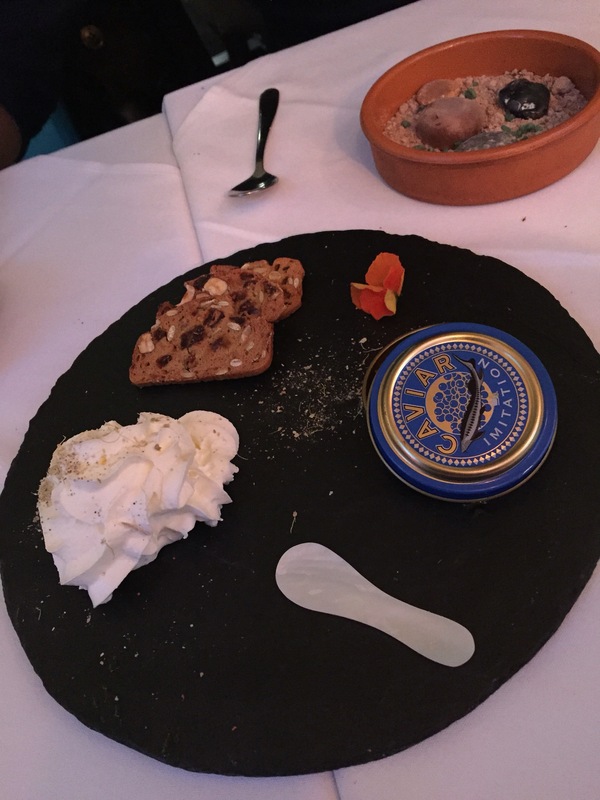 We also indulged in the Chocolate Soil, Mint, Chocolate Stones, Ice Cream and the Gulab Jamun Caviar, Pistachio Toast Cardamom Creme. 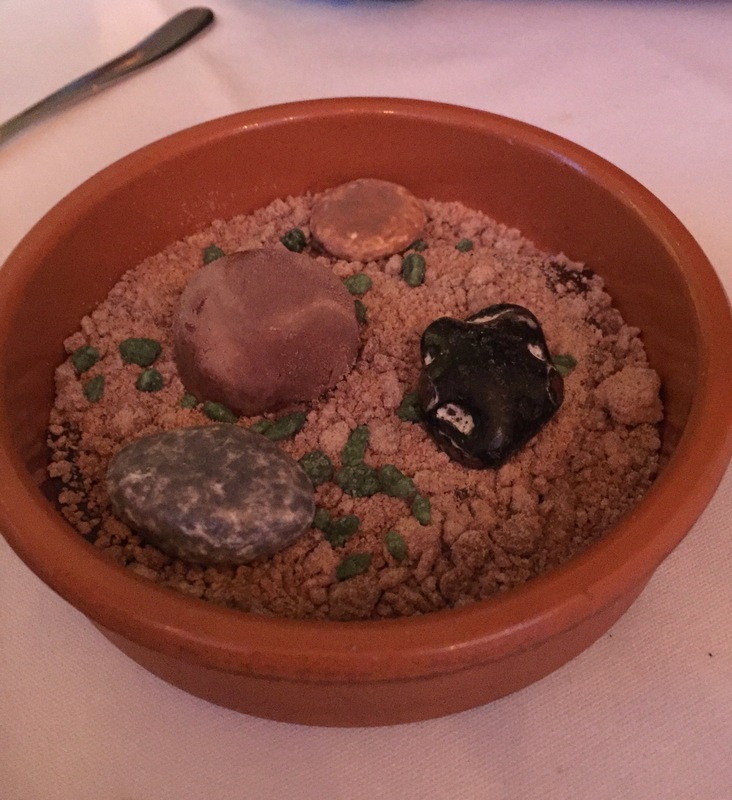 The chocolate soil was beautiful, but tasted a little underwhelming, whilst the gulab jamun caviar definitely won the award for most unique presentation of the night. Neither of them came close to the mango dessert though, so I know what I’ll be re-ordering next time…! I was a guest at Chakra on Holland Street, but as always, all views are my own.